Sharjah Female Personal Trainer Yasmin believes that exercise is an important meaningful part of daily living. Yasmin is a former gymnast who now works as a female PT in Sharjah and Ajman, UAE. She offers a wide variety of personal fitness services for ladies and kids – either at your home or your local gym. As a professional fitness coach Yasmin pledges the highest level of customer satisfaction in terms of preparing exercise, diet and nutritional programs. Yasmin is an expert in KARATE, KICKBOXING, ZUMBA, AEROBICS, YOGA, WEIGHT LOSS AND BODY TONING. She is an ardent supporter that exercise can prevent health problems and improve quality of life and she looks forward to helping everyone achieve their fitness and lifestyle goals in Sharjah. 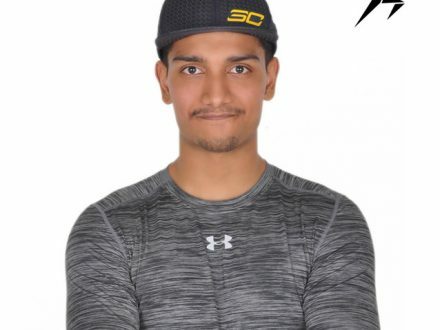 Whether you are new to exercise or need to hire a trainer to push you harder, Yasmin has the right attitude and knowledge to ensure all your personal and group fitness goals are met in full. You can view more information about Yasmin, her experience and PT qualifications by using the tabs at the top of this profile introduction page. Yasmin believes exercise is fundamental to living a well-balanced life. She started her carrier at an early age as a professional gymnast. She is confident that an inner athlete lives inside every one, and it’s her job to motivate clients to unlock their physical potential. She incorporates functional training and sparring in her workouts, to making sure that you enjoy each workout session and helps clients to improve physical appearance outside the gym in Sharjah. 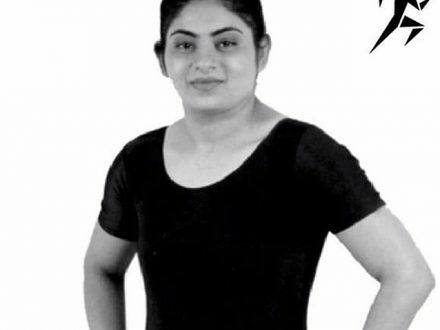 Although Yasmin is based in Sharjah she can also provide private or group personal trainer services in Ajman, UAE. 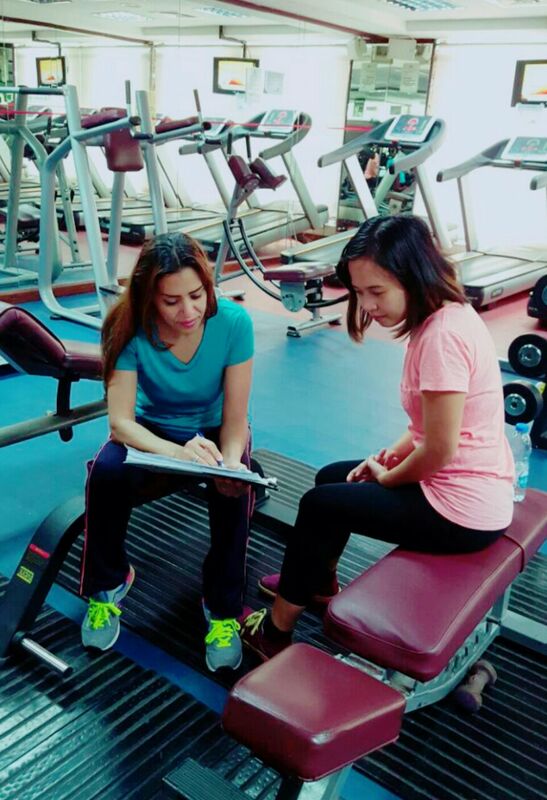 As a female personal trainer in Sharjah UAE, Yasmin is very honest with her clients about what they need to do to accomplish their goals. 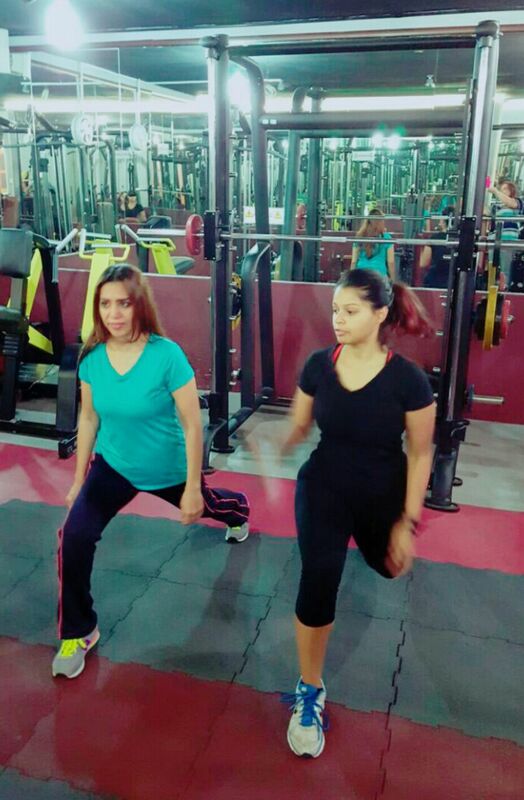 She adapts various interval training methods especially functional training, sparring and aerobics it keeps you happy and enjoy the session and most importantly you get the results. Yasmin has over the past 12 years of experience in fitness and sports. She has worked as a personal trainer and group instructor with many of leading fitness clubs in UAE. Her knowledge and experience will help you achieve all of your personal fitness goals. Her qualifications include: Personal Trainer, Group Instructor, Power lifting (Leaders Qualification Centre – UAE), Karate, Aerobics, Yoga, Zumba, Boxing. KARATE, AEROBICS, YOGA, ZUMBA, KICK BOXING. 2. Former Gymnast. 3. Dance Classes. 4. Fitness Assessment and Tracking. 5. TRX and Kettlebell Training. 6. Diet and Nutrition. 7. Weight Loss and Tone up. My personal training equipment includes TRX, resistance bands, kettlebells, slam balls, strength bags, skipping rope, wobble board, agility ladder and boxing gloves & pads. 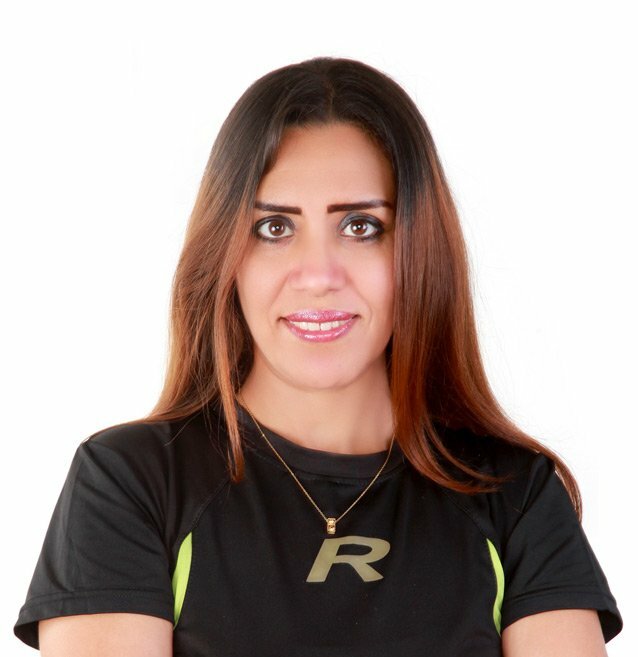 Yasmin also provides Circuit Training, Functional Training, and Martial Arts and Yoga to her Sharjah clients. 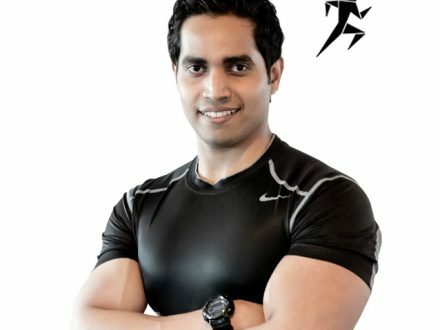 As a mobile personal trainer in Sharjah I am able to provide your training and workout sessions at a location which is convenient to you. This could be your home, your building gym, your gym, any outdoor dance studio or even outdoors. If you need a female personal trainer in Ajman Yasmin can also come to you. Contact her for further information on her group and private personal trainer policies in Ajman. Yes i do, A Fitness Assessment measures height, weight, body composition, blood pressure, muscular endurance, cardiovascular endurance and flexibility. 1. Height and Weight Measurements 2. Resting Heart Rate 3. Blood Pressure 4. Body Composition 5. Sit-up Test/min 6. Push-up Test/min 7. Step Test 8. Sit and Reach. It is necessary to understand your current fitness condition. Yes. You do not need any special exercise equipment or kit. If your workout plans require a specific piece of exercise then I will inform you during the day of initial consultation. Yes I do, Diet and Nutrition is necessary to achieve your fitness goals. Yes, Group training discounts can be provided. Contact Yasmin for further information. Yes, absolutely. It is preferred for you to pre-book your Sharjah personal trainer sessions to avoid delay and to ensure your training time suits your schedule. Cancellations should be provided at least 24 hours before the training session. If you do not cancel within the 24 hour period you may be charged for the full Sharjah personal trainer session price. 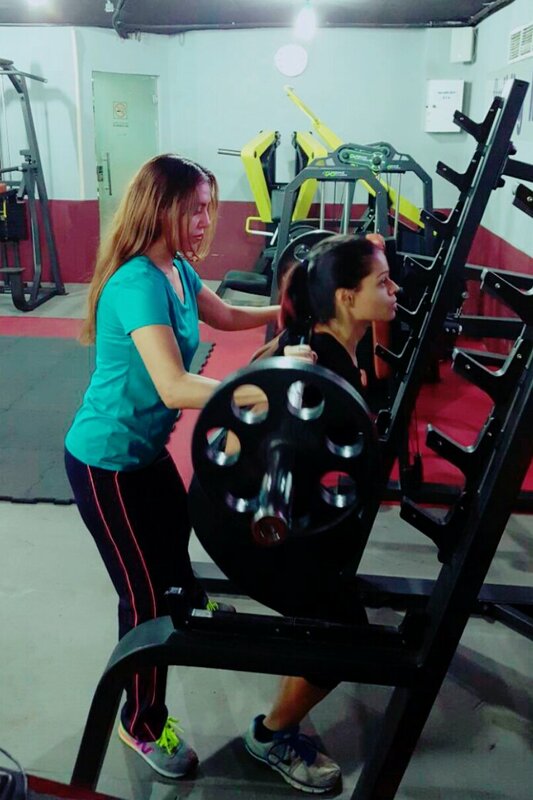 Yasmeen is one of the best fitness coaches i have ever met, she deal with the trainee by empathy and care and love, she give the best she can to make you enjoy the exercise and the transformation that you will notice after one month of the training.